Fire attenuation screens limit the potential for fire to spread between buildings via flames and/or radiant heat. Unit Developments are being constructed on smaller sites. In the event of fire in a building, occupant safety and the protection of adjoining property are fundamental requirements of building regulations. A Fire Engineer can provide a Fire Safety Report (FSR) as part of an Alternative Solution to meeting building compliance. This may be required when a design has an opening within 3 metres from the property boundary, or 6 metres from another building on the same site. A Fire Engineer will determine if Fire Attenuation Screens are needed as part of meeting building compliance. 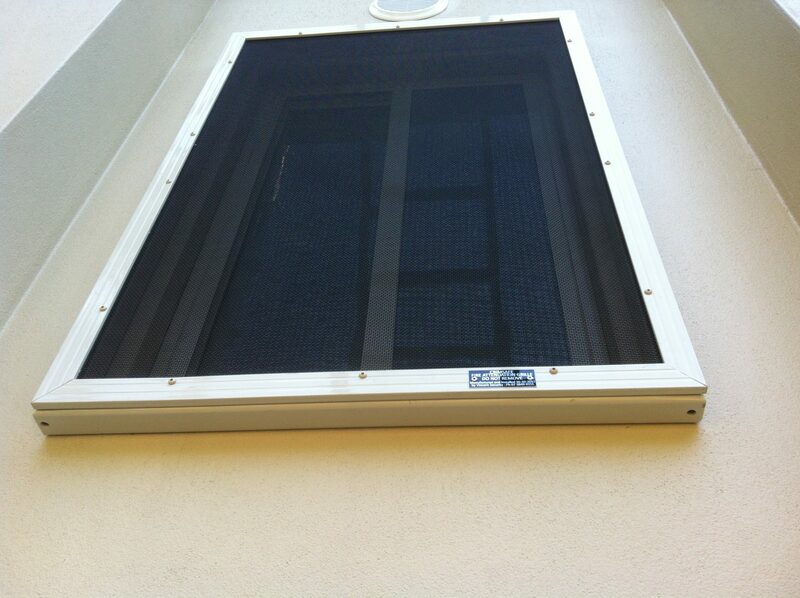 Installing a Fire Attenuation screens is specialist operation because every property is different. Depending on the building materials used, the location of the project and what openings are covered. Each fire attenuation job is carefully assessed by us so we can meet the requirements in the Fire Safety Report and issue a form 16 at the end of the project. Here at Vincent Security we are uniquely skilled for installing your Fire Attenuation Screens and take fire safety very seriously. We follow the Fire Safety Report to the letter during manufacture and installation. Because of our years of experience in installing Crimsafe technology we welcome your enquiry at any stage of Planning, Design or Construction of your project. Our commitment is to assist our clients to complete their projects on time with fit for purpose solutions to the highest standard of quality, and appearance. Contact us today to discuss your next project!